Bible classes are held for our Jr and Sr high on Sunday mornings at 9:45 AM and Wednesday night at 7 PM. They're encouraged to help serve communion, work in the sound booth during worship services, and help with kid events, classes, etc. Our Jr and Sr high students meet most Sunday evenings at 6:30 for just plain fun together. They play board games, electronic games, eat, "shoot the breeze" and more together. Church camp comes around every summer for our youth as well as an occasional trip to a concert, etc. 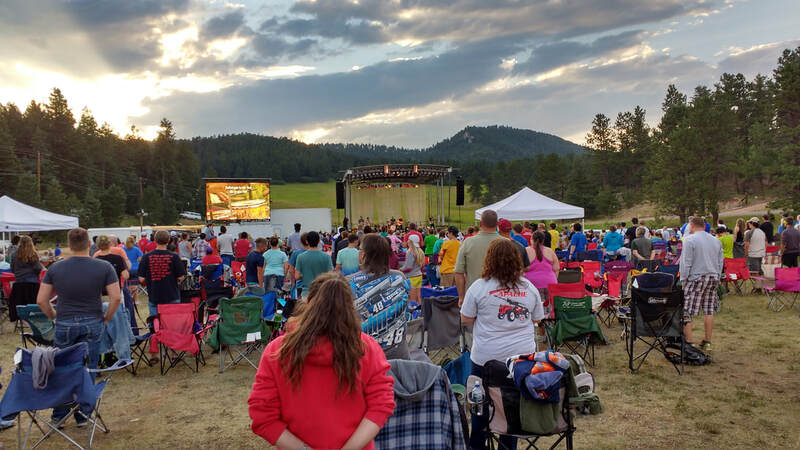 And there is usually an opportunity to head to Colorado at the end of the summer as well for a very fun youth event in the mountains all week long. Probably the best thing about our youth, however, is that they get to join and enjoy being included in many of the adult classes, fun activities and ministry read about elsewhere on this site. We believe that by including them with the adults they get connected better with the church and are less likely to drop out when they reach the college years. Come and see what it's like! Favored Vacation Bible School Leaders!